Take shower everyday is important as it get to cleans up your body and keep your body fresh. It is important to take a good care of your body and your hygiene. Well, me myself as a student also important to keep my body clean and fell fresh all the time. To tell you what, I sweating a lot! sometime just doing a simple activity I tend to sweating a lot. Blerghhhh! You know how annoy it can be right. Hahaa. Plus, It is more easier for germs to infected while your sweating. Therefore, I need to find something that can protect me well and I meet Dettol. Dettol is totally a trusted brand from I was a child. I still remember when I was in my junior school time, where my mom introduced to me with Dettol cause I was sooo lasak during that time and playing a lot and so suddenly my skin starts to feel itchy and I used Dettol and tadaaa~ the itchy part start to soothen down. With the launch of new Dettol pH-Balance Body Wash, Malaysian families can now be 100% sure of protection from germs and bacteria while maintaining healthy, moisturised skin. 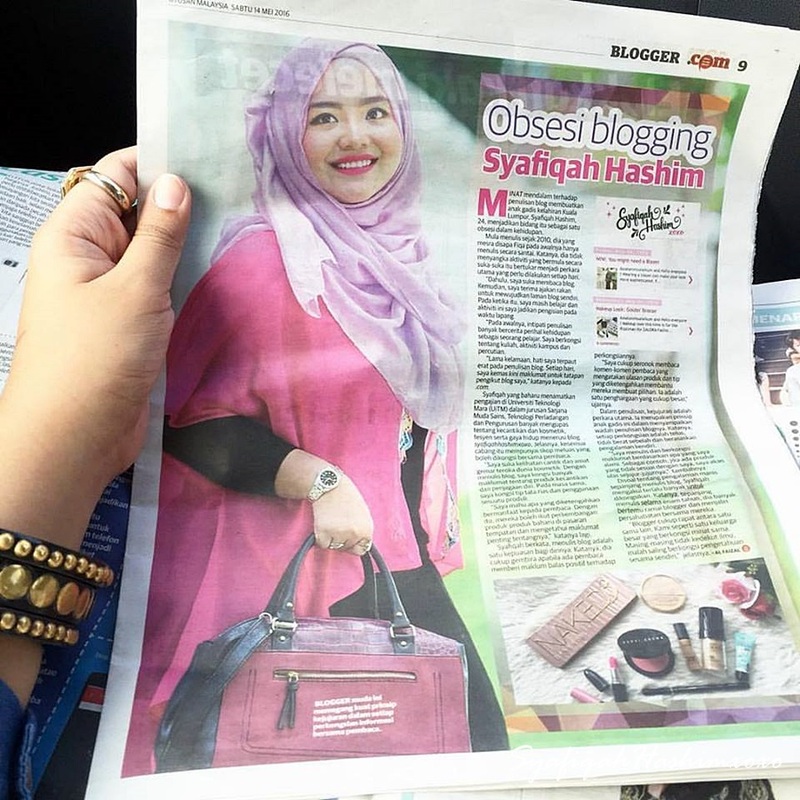 I think all Malaysian will have the same opinion about Malaysia's weather which is hot and humid climate, and we constantly expose our skin to external elements and the threat of germs and dryness. As a student like me it is important that to keep my skin a free from any germs and keep it fresh so I can feel more energize to do any activity freely. I can say that most of the time our skin get infected by any germs are due to the environmental factors such as pollution, change in temperature as well as our diet routine and even harsh household products can strip away the essential lipids on the skin's outer layer. Dettol's signature anti-bacterial properties not only protect your skin from germs and bacteria, its improved pH-balance formula also helps retain skin's moisture, thus preserving your skin's natural barrier leaving it healthy and moisturised. I'm so happy to hear about this, where you can protect your skin from germ and at the same time it will keep you skin smooth. Body washes with anti-bacterial properties are helpful in fighting the germs on a daily basis. It is not just that, at the same time, it is also important for you to choose a suitable product with your skin where the product are compatible to your skin's natural pH level. keep maintaining the skin's moisture and ensuring truly healthy skin. So, here some demonstration that I make to show you how the New Dettol pH-Balance Body Wash works with their new improved formula. 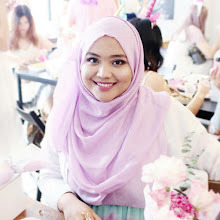 I also make a comparison with other brand [ Brand X] which also a well-known brand for germ-protection body wash but does the Brand X can keep your skin at the correct level? *I used a pH Pen that can check pH level. I starts with testing my original skin pH, Turns out the color is orange. I check the pH using the pH pen and the color turns to orange as well. Next, I put Brand X next to it. I check the pH using the pH pen and the color change to green. So, here the comparison of pH level for my original skin pH, with Dettol pH-Balance Body Wash and Brand X Body Wash.
OMGG! I know you will be like freaking out right now because the color changes for Brand X a wayyy wayy to much right. My first impression also I was shocked with the result itself. But well, this is fact. no lying or trick behind it. As you can refer to the pH chart. According to it, My original skin pH was around 3-4 [acidic]. With the Dettol pH-Balance Body Wash the color is around 4-5 [acidic] and for Brand X Body Wash it go further away up to 8 [alkaline]. Just for your information that pH 4.0-6.0 just perfect! As for pH 2.0-3.0 that's too acidic. A highly acidic pH can cause your skin to peel. and for pH 8.0-14.0 that's too alkaline. A highly alkaline pH can cause your skin to age prematurely. 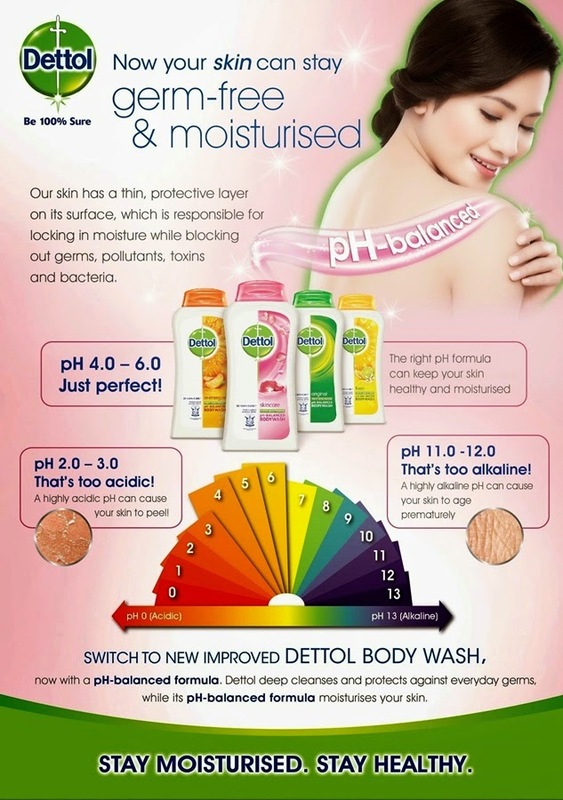 So now, let's switch to New Improved Dettol pH-Balance Body Wash ! You can get RM5 off of any Dettol pH-balance 625ml shower gel at any Guardian Store by click to this link http://goo.gl/GuWqPI . This voucher valid from 1 November until 31 December 2014. Dettol pH-balance Body Wash come with variants choice from Original, Fresh, Radiance, Re-energize, Cool and Nourishing. Remember that it is important to keep you skin pH balance because you don't want your skin feel to drying and hashness that also will lead you to age prematurely. Dettol pH-Balance Body Wash it cleanses your skin deep and protect against everyday germs while its pH-balanced formula moisturises your skin. Dettol pH-Balance Body Wash is the ideal body wash for every Malaysian family. WHY? WHY? Why I hold any product reviews?